Average price of AZERI LT CIF, extracted at Azerbaijan's Azeri-Chirag-Gunashli block of fields, was $68.82 per barrel on March 18-22, or $0.61 more than the previous week, Trend reports March 25. The highest price of AZERI LT was $69.7 per barrel, while the lowest price was $67.58 per barrel during the period. Average price of URALS (EX-NOVO) was $66.37 per barrel, which is $1.52 more than during the previous week. 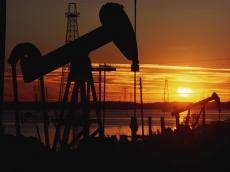 The highest price for URALS was $67.03 per barrel and the lowest price was $65.83 per barrel on March 18-22. Average price of Brent Dated was $67.38 per barrel on March 18-22 or $1.47 per barrel more than the previous week. The highest price for Brent was $68.22 per barrel and the lowest price was $66.31 during the period.